Susan Judy’s passion for stone has led her to create abstract and geologic stone relief sculpture with a wide variety of semi-precious stones, crystals, and fossils. Susan has a background in exploration geology, receiving a BS in geology at the University of Idaho and an MS in geography from Texas A&M. To enhance her art education, Susan apprenticed with James Hubbell in 1985, a gifted mosaicist, sculptor, and glass artist. 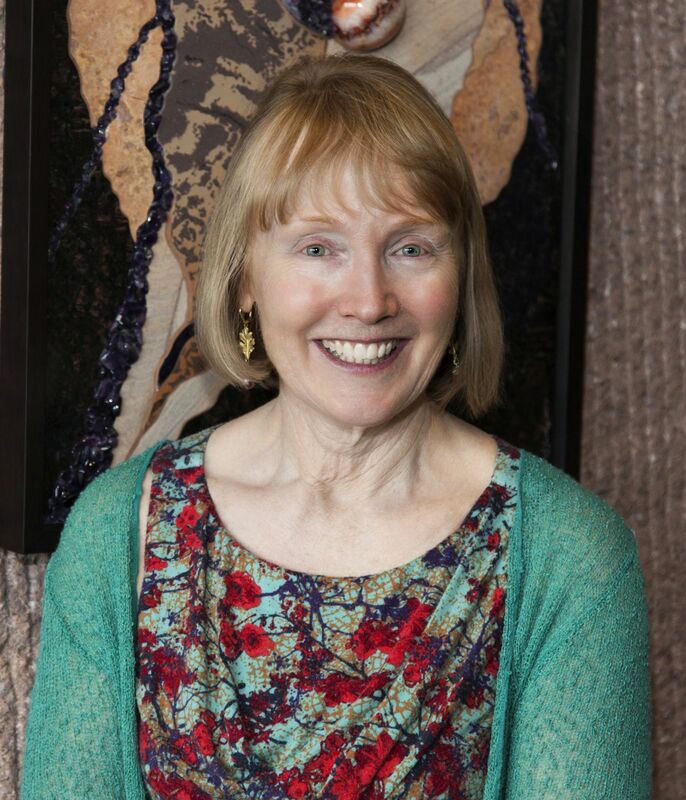 Susan has received numerous awards for her art, most recently a first place for her piece, The Enemy Within: Mt. Erebus Volcanism and Ozone Depletion at the National Center for Atmospheric Research 2017 exhibition for the Colorado Mosaic Artists. She also has exhibited with other geoartists at several “GeoSapien” events. To grok with rock lovers Ms. Judy exhibits at the international Tucson Gem and Mineral Show. You can also see her work at the Loveland Sculpture show and various geologic forums. Ms. Judy’s private clients are art collectors and stone enthusiasts who love coming to her studio to select material for commissioned pieces, but the choices can be overwhelming! Ms. Judy grew up in Washington state. After trekking to many exploration outposts in the western US, she settled just outside of Denver, Colorado.